Is it weird that two of the craziest rumors about One Direction have actually come true? 2015 has certainly been a wild year to be a 1D fan, considering Zayn Malik quit the band and Louis Tomlinson is going to be a father. And with shocking whoppers like those staring One Direction fans in the face, it's almost like anything is possible at this point. (I mean, except for that story about Harry Styles having an affair with President Obama. That one will forever be false.) The One Direction fandom are no strangers to cray cray gossip at this point, but sometimes it's best just to check in and see what we're workin' with here. Truth be told, as long as One Direction are around (and even long after they break up) rumors will continue to swirl about every possible aspect of the group, the fandom, and the guys' personal lives. (Let's face it, Louis Tomlinson's baby will probably be like 30 and still having to fight off ridic gossip about his or her dad). It just comes with the territory of being one of the hottest and most successful boy bands in the world. 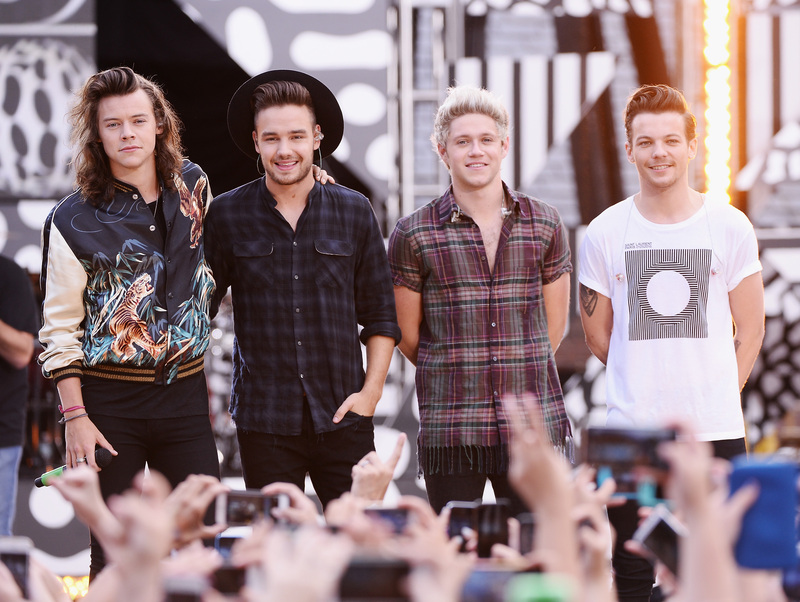 Check out some of the craziest rumors about One Direction below. Larry Stylinson is the romantic pairing of Harry Styles and Louis Tomlinson, a ship many fans believe to be true. Despite the fact that Tomlinson has denied the existence of Larry time and time again, Larry shippers just believe that 1D's management is trying to keep the relationship on the down-low. According to HollywoodLife, Harry Styles once told The Sun that Tomlinson insured his bum. (If Styles actually ever did say this, he was very obviously joking.) Because once Tomlinson heard the rumor, he told radio station Hot 99.5, "Very funny story, but why? I’m not gonna lose it, am I? Why insure it?" At various different points in One Direction's five-year career, almost every guy in the group has endured death hoaxes about himself. Fun times (not). Zayn Malik may support his former bandmates and obsess over "Drag Me Down" just like the rest of us, but he's made it more than clear that he's focusing on his solo career right now. OK, it's clear why fans would think that Niall Horan and Louis Tomlinson got their drink on while performing "Over Again," as the guys took swigs from a water bottle and instantly cringed. Horan initially lashed out at the rumors before realizing that it actually looked like they were drinking and cleared things up for fans.